Great neighbors are hard to come by. I know someone (who shall remain nameless) who lives next to a family where the kids play a game called “Am I Being Murdered?”. An activity that’s such fun, it has to be enjoyed during every single hour of every single day. A jolly good time for the whole housing development I’m sure. On the other end of the spectrum are the good folks who reside just over the fence from me. Specifically the very talented gardener of the family, who delivers just picked fruit and vegetables to my greedy doorstep all summer long. I get nature’s bounty freely given with zero effort on my part. It’s simply divine. 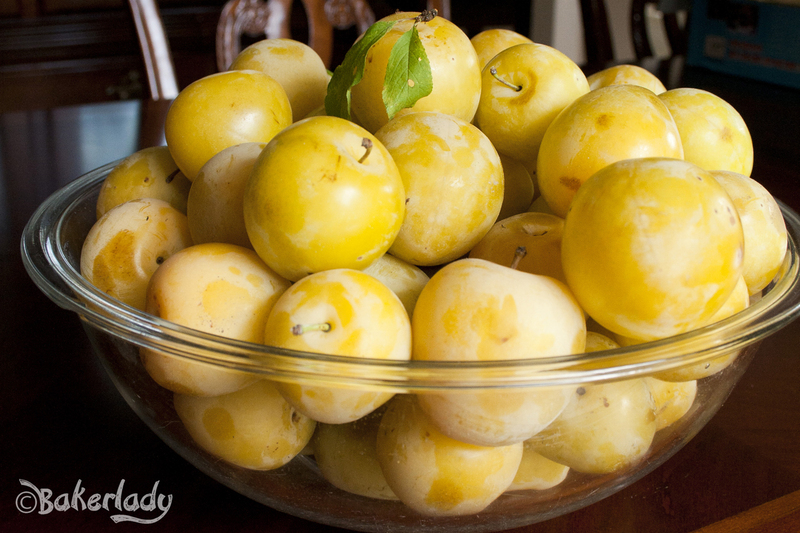 Just this week I’ve received zucchini, cucumber, apples (two kinds), and most delicious of all, plums. They arrive in bags and buckets. Fragrant, juicy, mildly tart and perfect. It didn’t take much convincing for my children to believe that plums are far better than candy. They have free reign to enjoy a succulent treat from the plum basket whenever they want. Both munchkins are now consistently a sticky mess of dribbly plum juice and I don’t even care. 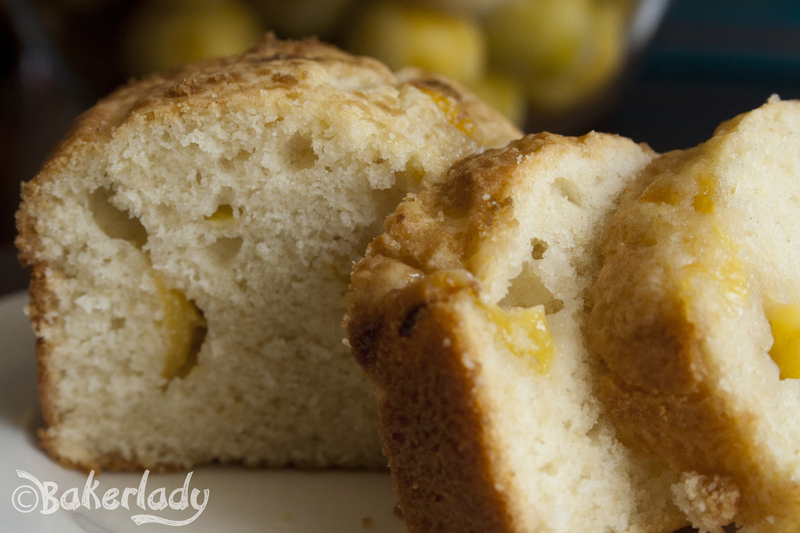 This recipe is a quick bread that tastes dangerously close to a cake. 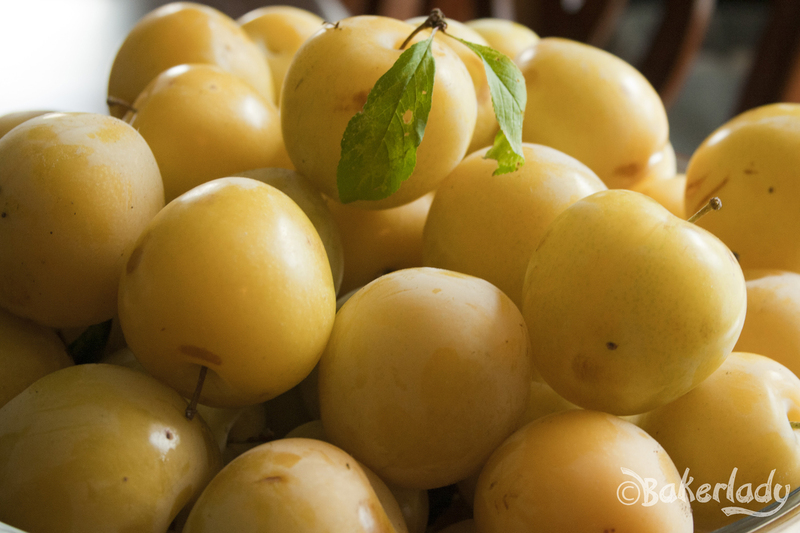 It’s sweetness and light with a hint of tart sprinkled throughout from the plums. Delicious. It would be perfect for a brunch, ladies tea, afternoon snack, or dessert. Basically, whenever you want to eat it, do. You can use yogurt instead of sour cream if that’s what you have handy. The batter is nice and thick so all those beautiful plum pieces won’t sink to the bottom of your bread. I also baked this in mini loaf pans as well as a 9-inch square cake pan. Both turned out with a perfect texture and golden crust. Just adjust your bake time accordingly. I started by baking about 30 minutes then checked on my cake bread every 5 minutes or so until it was done. 1. Preheat oven to 350 degrees F (175 degrees C). Spray a 9×5-inch loaf pan with cooking spray, or line with parchment paper. 2. Sprinkle chopped plums with 1 tablespoon of flour in a bowl, and toss to coat. Set aside. In a large bowl, beat the butter, white sugar, and vanilla extract with an electric mixer until light and fluffy. Beat in the eggs. In another bowl, sift together 1 1/2 cup of flour with salt, cinnamon and baking soda. Stir the dry ingredients into the egg mixture, alternating with sour cream until the mixture forms a smooth batter. 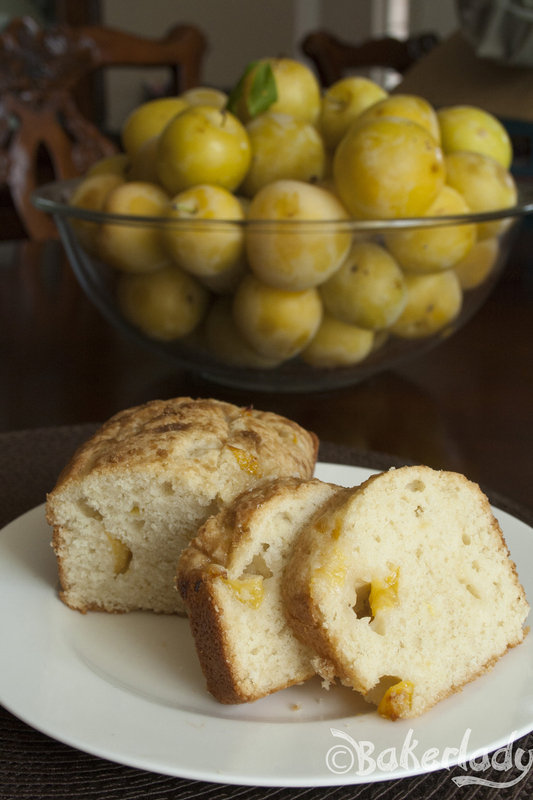 Lightly stir in the flour-coated plums, and pour the batter into the prepared loaf pan. Sprinkle the top of the batter with brown sugar. 3. Bake in the preheated oven until a toothpick inserted into the center of the loaf comes out clean, 45 to 50 minutes. Remove from oven, and let cool in the pan 10 to 15 minutes before removing from pan for slicing.